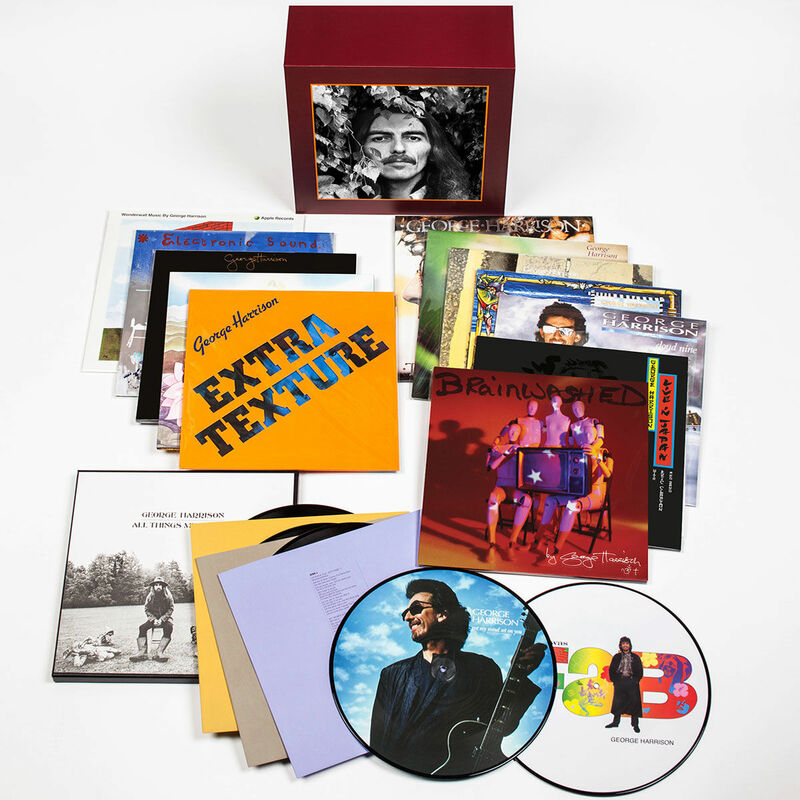 George Harrison’s complete catalog of solo albums will be released in a new box set, “The Vinyl Collection”, on February 24. 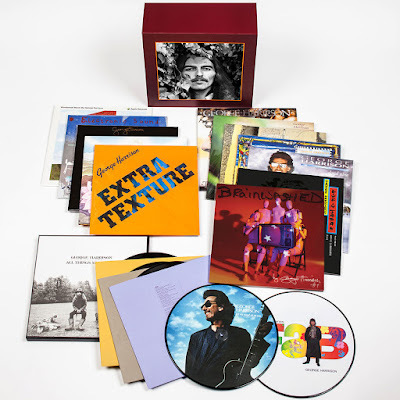 In sync with the late Beatle guitarist’s 74th birthday the following day, the package includes all twelve of Harrison’s studio albums – from 1968’s “Wonderwall Music” to 2002’s “Brainwashed” – complete with exact replicas of the original release track listing and artwork. Material for the catalog reissue has been newly-remastered from the original master tapes and pressed onto 180-gram heavyweight vinyl. The individual albums from the collection will also be available separately, with “All Things Must Pass” as a limited-edition title. Also announced alongside “The Vinyl Collection” is the George Harrison Essential III turntable, designed by Pro-Ject Audio Systems; it is limited to 2500 worldwide. And, a new "Extended Edition" of Harrison’s 1980 autobiographic work, “I Me Mine”, will be published on February 21. The updated edition includes more than 50 additional handwritten lyrics and unpublished photographs not found in the original printing. Harrison passed away from lung cancer in 2001 at the age of 58. A full album listing for "The Vinyl Collection" can be found below the video.